‘Minerva was the Roman goddess of warriors and wisdom. William McGonagall is celebrated as the worst poet in British history. There was something irresistible to me about his name, and the idea that such a brilliant woman might be a distant relative of the buffoonish McGonagall.’ – J.K. Rowling Pottermore Presents is a collection of J.K. Rowling’s writing from the Pottermore archives: short reads originally featured on pottermore.com with some exclusive new additions. 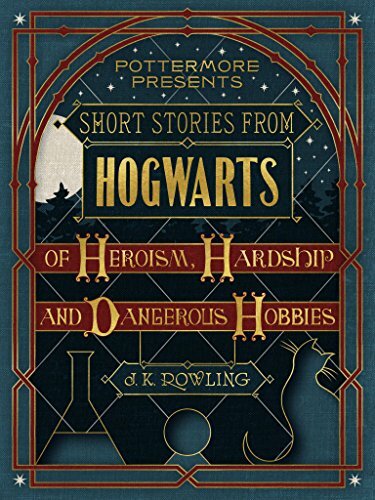 These eBooks, with writing curated by Pottermore, will take you beyond the Harry Potter stories as J.K. Rowling reveals her inspiration, intricate details of characters’ lives and surprises from the wizarding world.These stories of heroism, hardship and dangerous hobbies profile two of the Harry Potter stories’ most courageous and iconic characters: Minerva McGonagall and Remus Lupin. J.K. Rowling also gives us a peek behind the closed curtains of Sybill Trelawney’s life, and you’ll encounter the reckless, magical-beast-loving Silvanus Kettleburn along the way.